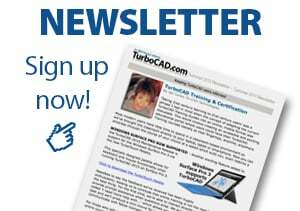 Combine Content and Community – TurboCAD.com is now home to all IMSI Design desktop software products including our award-winning DesignCAD, TurboFloorPlan, TurboPDF, Turbo View & Convert, and our other precision design products. We hope that this combined website will make it easier for our customers to locate updates to their favorite products, discover new solutions and companion products, and quickly access support services. Better Customer Service – The new TurboCAD.com was built to provide better service to our customers. When you login, you'll find an account that is much more robust. See your order history, look up your software product keys, process a return, and much more. Create a support ticket from the help desk, and track its progress. Even create wish lists and look up voucher coupons. Enjoy richer content on product pages. Each page allows customers to rate their software, and direct you to free trials when available, so you can make a more informed purchase decision. We even make it easier to spread the news about the latest release, or special discounts to your friends on popular social media sites. Optimized for Mobile – When you're on the go, TurboCAD.com adjusts to your viewing environment. The site, shopping cart, and customer account section now all adjust for mobile viewing. So now you can track the progress of support tickets on the go, respond to emails, and order products from your smart phone or tablet to download later on your desktop or laptop.